The Roga revolution continues apace. 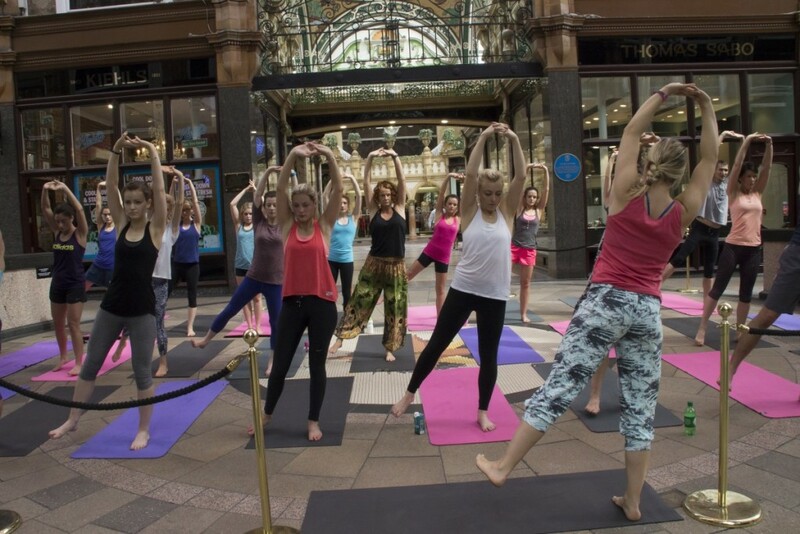 Last weekend we teamed up with Sweaty Betty for a fantastic Roga brunch. 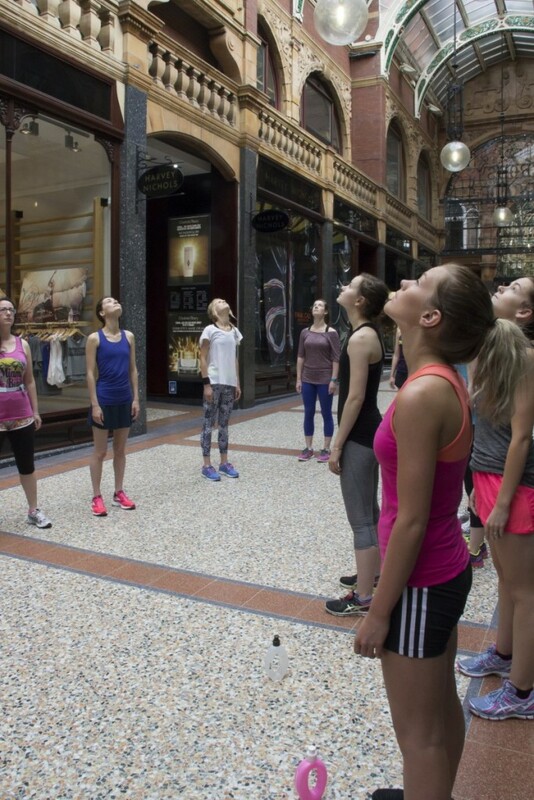 We started with a city run, followed it with yoga between the fountains in the stunning Victoria Quarter and then back to the store for food, glorious food. All of our Roga events are carefully themed and structured to help runners become better yogis and yogis become better runners. 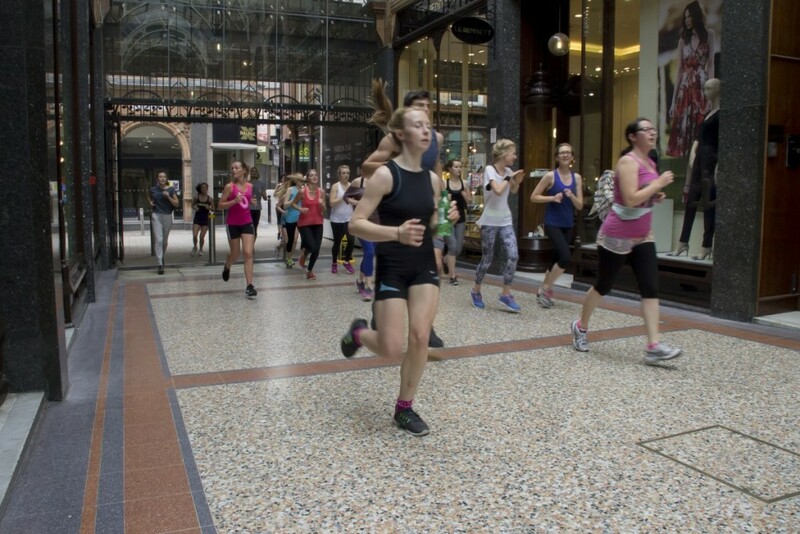 The theme for this one was strength and balance and we stopped on the run at various points squares in the city to work on an exercise that built up as we went along. This being a morning event, we didn’t have drunk people joining in as we occasionally do on our runs from our weekly class (you can book here if you fancy that – the class, I mean, not joining in drunk). 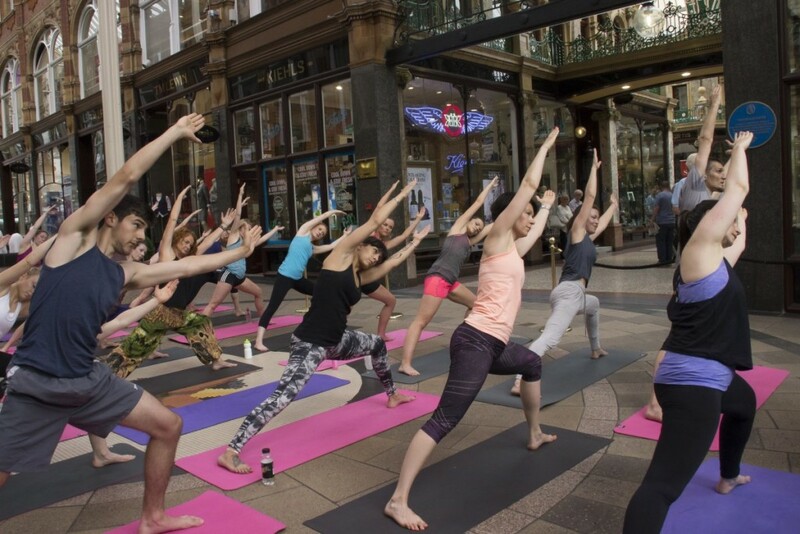 Holly from Yoga Hero, our business partner and the woman who puts the oga in Roga, led the sequence between the fountains and under the longest stained glass roof in Europe in the Victoria Quarter. 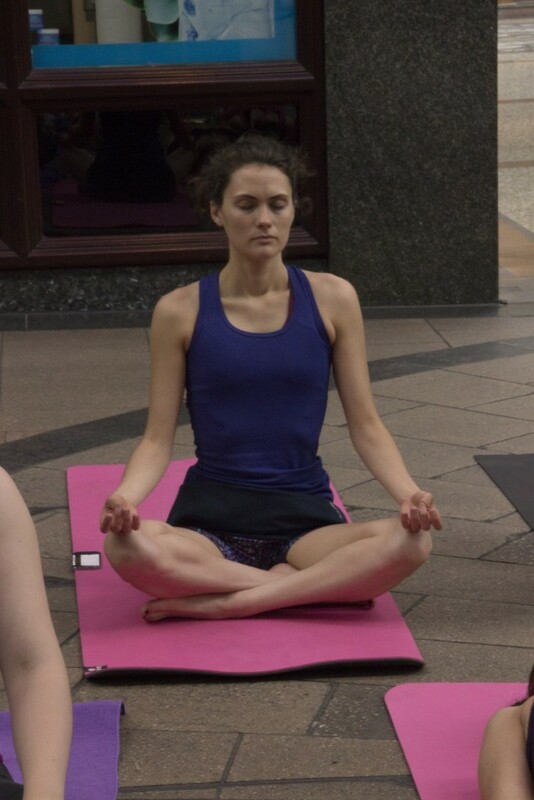 It was surprisingly zen and peaceful to stretch and pose in the middle of a shopping centre (but then I suppose it is a very special kind of mall). All in all, it was a spectacular, fun and pretty fabulous event, though don’t just take our word for it – the gorgeous bloggers from Cotton Tales had a pretty good time with us. If you joined us, or are just nosy, check out the Facebook album from photographer Heather. If you want a copy of any of the shots, drop her a line, she’ll sort you out. Didn’t join us and are gutted you missed it? Don’t be too downhearted – there are more where that came from! There are two more Roga events in our summer series. One is at The Tetley on 2nd August, focusing on art, running and mindfulness. The other is on 6th September and is designed to help you run your best possible 10k, whether it’s your first or your 500th. You can book places on these life-changing workshops here. If you’d like to train as a Roga instructor, join our mailing list. We’ll be rolling out a training programme later in the year so get your name down and help us change the world for the fitter!